The Jeep Cherokee is now a classic crossover bringing ruggedness to the SUV party in the way only a true Jeep can. And with the Trailhawk model, you will have a more capable model that appeals to the outdoor type and tackles more serious terrain. 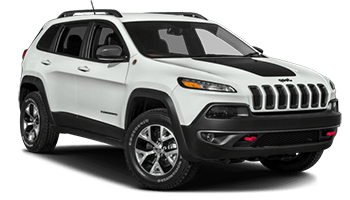 Below you'll find a wide variety of Jeep Cherokee stripes, decals, and vinyl graphics for the model years indicated. Featured you will find the BRAVE - Lower Rocker Panel Jeep Cherokee Lower Rocker Panel Vinyl Graphics Decals Stripe Kit, the CHIEF - Upper Body Panel Jeep Cherokee Mid Body Line Accent Vinyl Graphics Decals Stripe Kit, the T-HAWK - Factory OEM Style Hood Graphic Jeep Cherokee Vinyl Graphics Kit, the WARRIOR - Upper Body Panel Jeep Cherokee Upper Body Door Accent Vinyl Graphics Decals Stripe Kit, and so much more! Choose one of these popular vinyl decal styles today!